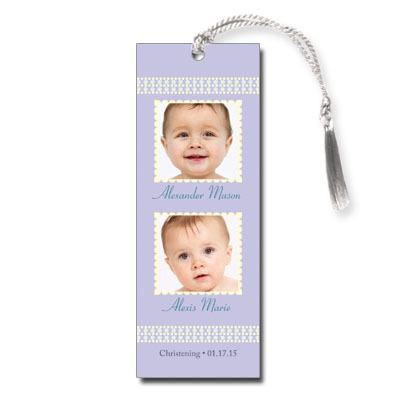 Shades of blueberry and lemon yellow are the perfect baby colors for this Christening bookmark. Great for twins, this design has room for two photos and two names - or just feature two pictures of your little one! Measures 2x5.5 and comes with white satin tassels; light assembly required.